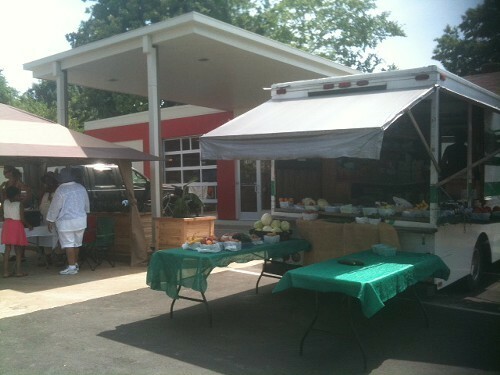 The South Memphis Farmers Market held a ribbon-cutting on Thursday morning to unveil its new facility. 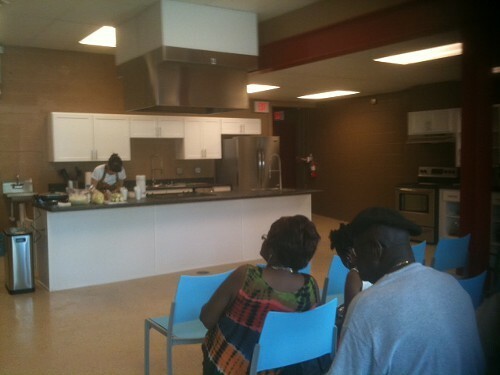 An old fish market on the site where the market had been held at South Parkway and Mississippi has been transformed. Painted a smart tomato red and white, the building is divided into two sections. One side will house a 2,000-square-foot green grocery that they hope to have up and running in January. 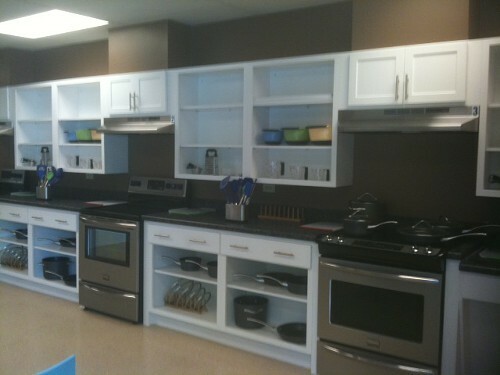 The other side is the 1,200-square-foot demonstration/education kitchen. Curtis Thomas is deputy executive editor of The Works, which runs the market as part of its South Memphis Revitalization Action Plan. The grocery, he says, is designed to both address the food desert and to provide employment for South Memphis residents. Farmers who have been market vendors will provide the produce for the grocery. The grocery will be open 6 days a week. The kitchen side of the building has a large cooking/demo area at the back, with four small cooking stations along the south wall. There's a large monitor on the north wall that will show the demo area from overhead, allowing class-goers a better view of techniques. Thomas says there will cooking demos and classes on market days. They also plan to have one-day classes as well as ongoing classes that will stretch for weeks. There will be cooking camps too. Some classes will be devoted to nutritional education. Getting the old fish market into shape took 18 months. The grocery side, Thomas says, was divided into 7 rooms. The floor levels did not match. "It's been a process," says Thomas of the building renovation," but we're delighted with the outcome." The South Memphis Farmers Market, now in its fourth season, is open Thursdays from 10 a.m. to 6 p.m.
Caesars Entertainment Corporation, parent company of Harrah's Tunica, issued a statement this morning announcing it has "reached a mutual agreement with Paula Deen Enterprises (PDE) not to renew the two companies’ business relationship." Harrah's Tunica opened Paula Deen's Buffet in 2008. Deen appeared at a ribbon-cutting to unveil the 560-seat restaurant designed to look like Deen's home in Georgia. According to the statement, the Tunica buffet and three other of the company's Deen-related businesses will be "rebranded." It appears that the Paula Deen Buffet has already been removed from the Harrah's Tunica site. LAS VEGAS — June 26, 2013 — Caesars Entertainment Corporation (NASDAQ: CZR) announced today it has reached a mutual agreement with Paula Deen Enterprises (PDE) not to renew the two companies’ business relationship. 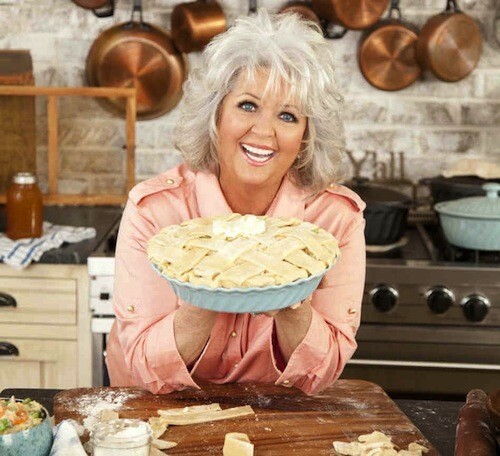 Caesars operates Paula Deen-themed restaurants at four of its properties. Caesars intends to rebrand the restaurants in the coming months. “While we appreciate Paula’s sincere apologies for statements she made in her past that she recently disclosed during a deposition given in response to a lawsuit, after thoughtful consideration of their impact, we have mutually decided that it is in the best interests of both parties to part ways at this time,” said Jan Jones Blackhurst, executive vice president of communications and government affairs for Caesars Entertainment. 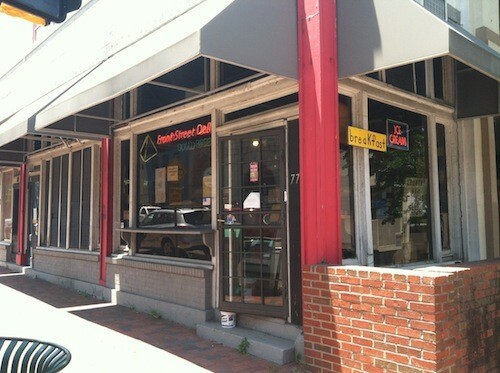 Jiji's Wraps Cafe took over the old Pita Cafe space on Park near Getwell about 9 months ago. 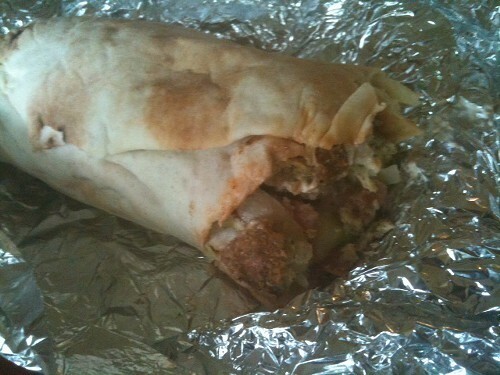 The menu offers Mediterranean fare — chicken shawarma, gyros, etc. — as well as a few Ethiopian dishes such as t'ibs and kitfo. Included on the menu are "Egged Sandwiches" and "Egged Combos." I asked the owner if these are breakfast items but she said they were simply dishes with eggs scrambled into the ingredients. And so it is. This is a falafel with eggs ($7.59). The eggs were a nice touch, but this sandwich is plenty good on its own — nice, spicy falafel, fresh toppings, good pita bread. The other egged sandwiches are gyro, chick shawarma, and tilapia ($7.59-$8.69). Just an fyi, the air conditioning has been broken at Jiji's, so you'll want to get your food to go. Southern Belle, the mostly take-out spot offering plate lunches, has been reinvented as Belle Diner with a move from Madison in Midtown to a much larger space on Union in downtown in the former site of Rio Loco. 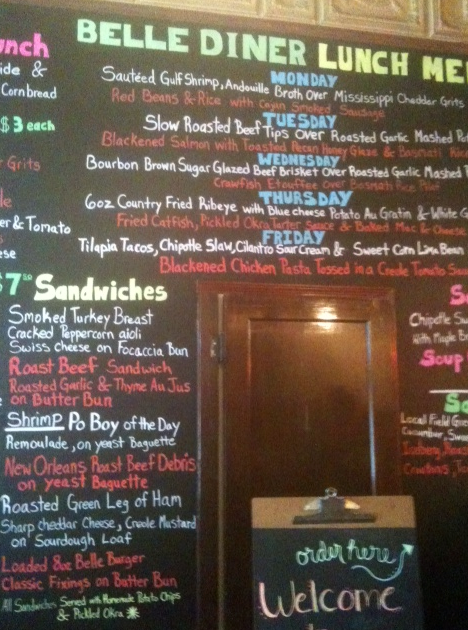 Patrons enter to see the menu posted on a wall painted with chalkboard paint. They make their order at the counter, take a number, then take a seat. There are plate lunch specials ($9) for each weekday. On Wednesday, the day we visited, it was Crawfish etouffee and beef brisket (which had sold out). 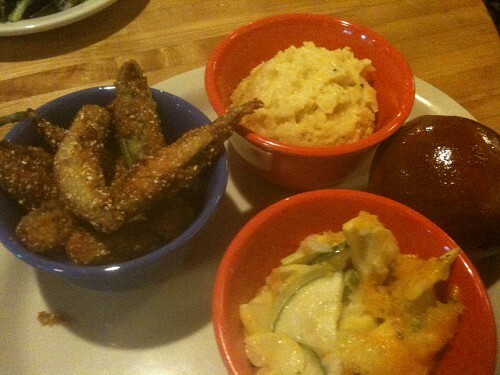 Plates come with a choice of sides and either a roll or cornbread. Anna opted for a vegetable plate (choice of 3 for $7 or 4 for $9). She got fried okra (nicely done with the whole pod), squash casserole, and cheese grits. My plate was similar, though I got the very good mac-and-cheese and a nice side salad. There are also a number of sandwiches on the menu, including smoked turkey and a po boy of the day ($7.50 with chips and picked okra). 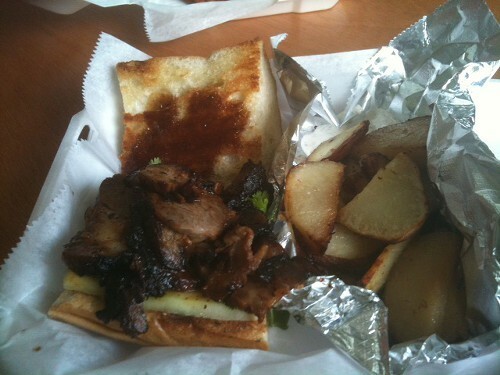 Mike tried the roast beef sandwich served with au jus. He's not much for chips, but he liked the house-made chips that came with the sandwich. Belle Diner offers a trio of desserts, all $4.50: chocolate toffee torte, seasonal fried pies, and a cake of the day. We tried them all. 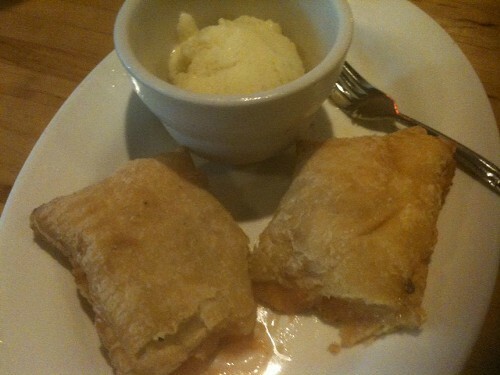 The fried pie was peach served with an excellent homemade ice cream. The cake was a blueberry cheesecake. It seemed like a perfectly reasonable request to me. I wanted to make a Vine of Hannah eating a Hannah's Pickled Egg. She refused even after I backed off of the suggestion that she wear overalls and red pumps for the video. 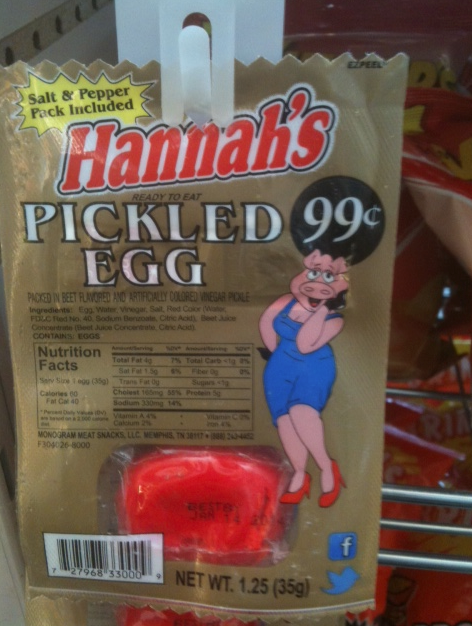 Hannah's Pickled Egg is distributed by the local company Monogram, which also distributes the King Cotton line bacon, bologna, and sausage. Hannah let me tag along when she went to Olive Branch last week to check out Jonathan Mah's SideStreet Burgers for this week's Food News column. I can say we both left impressed. This is a one-man operation with a bare-bones kitchen. The menu is spare by necessity but the offerings, particularly the specials, are smart, forward-thinking. Exhibit A: the special of the day, which Hannah ordered: The Chinese BBQ Pork sandwich, a Banh mi-inspired creation dressed with cucumbers and cilantro and served on French bread. 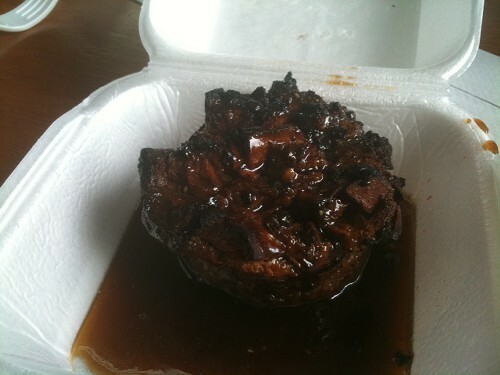 Exhibit B: the Irish Car Bomb bread pudding. This rich-beyond-belief treat was a reality check of sorts. This bread pudding gets the texture just right, which — yes! — is pudding-like. All those very good variations I've had over the years now seem lumpy in comparison. Regular menu items include the 1/2 pound Sidestreet burger and a turkey burger ($2-$4) and individual-sized pizzas ($4-$8). Specials making frequent cameos include the Hott Pigg, ground pork stuffed with bacon and rosemary dressed with BBQ sauce, slaw, and pepperjack cheese, and a turkey-spinach burger. Hannah mentioned it in her column, but it should be repeated: If, when, you plan to visit SideStreet Burgers, go to an ATM first. This is a cash-only operation. I report this news as a public service. 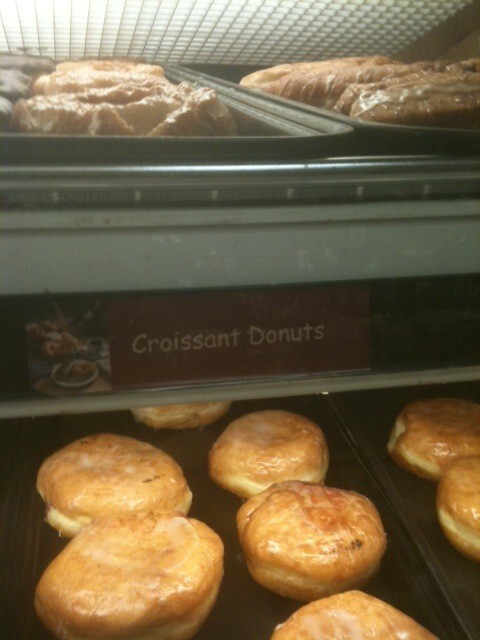 The croissant donut, available at the Kroger on Union, is not the same thing as a Cronut, the donut-croissant hybrid that's sparked a craze (long lines outside the bakery! black market! TV appearances!). England said she was not familiar with the cronut but was going to look into it, suggesting that it was not outside the realm of possibility that Kroger might try to concoct their own version. Chef Demarcus, the nom de restaurant of Kevin Demarcus Woodard, opened Le Crepe du Vin last fall in Bartlett. He announced he was moving the restaurant this spring and is now busy transforming the Neely's BBQ restaurant on Jefferson in Victorian Village into Monsieur Demarcus French Crêperie. He hopes to have the restaurant open sometime in mid-August. 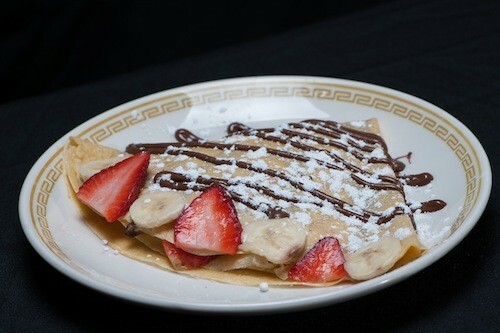 Demarcus says that Le Crepe du Vin, which served both savory and dessert crepes, never really fit in in Bartlett. "They weren't feeling it," he says. He did, however, notice that the bulk of the patrons came from other parts of the city and surrounding areas. He says that many of them came from downtown. Demarcus plans on serving the same menu as Le Crepe du Vin at Monsieur Demarcus, while adding additional French fare to be served atop crepes. Dishes mentioned include beef Bourguignon and Coq au Vin. He's now working on getting the Neely's space up to code and doing extensive renovations to bring light into the BBQ joint. He's going to add more windows. There will be tables with white linen tablecloths and napkins. Demarcus will initially open up about a third of the restaurant, with about 45 to 50 seats — larger than the Bartlett restaurant — and get the rest of the space ready in the next few months for a total of about 144 seats. 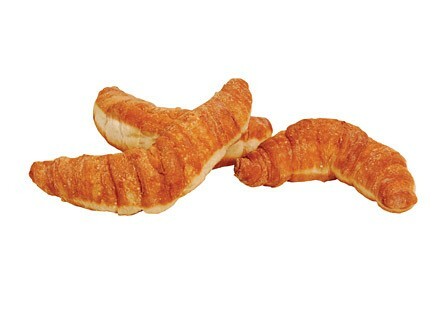 Monsieur Demarcus will be open seven days a week, with weekday hours set at 10 a.m. to 9 p.m., to be adjusted as needed. Demarcus also hopes to hand off his chef duties to someone else so that he can concentrate on front-of-the-house as well as other restaurant business. 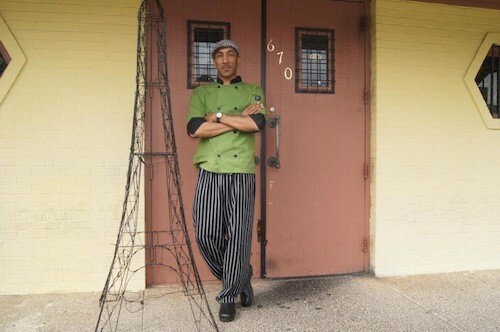 Ultimately, Demarcus is aiming toward true French ambience, something he says he achieved at Le Crepe du Vin. He says that he had relocated French natives tell him as much. "They felt like they were back home." Front Street Deli, a downtown fixture since 1976, closed after owner Lee Busby's death in March. The business is being reopened by Lance Silkes of Tastin' Round Town Tours. According to Silkes, Larry Busby, Lee's brother, had inherited the business, but he had recently sold his Front Street Deli location on Winchester and was under a no-compete clause. Silkes says they held off on making an announcement, wanting to make sure they could get the old restaurant up-to-code and operational. Silkes says Front Street Deli fits in perfectly with what he's been doing with Tastin' Round Town, a tour of area restaurants, offering tourists and Memphians alike a taste of some of the city's best fare and a good dose of the city's history. "In 1976, when pretty much everybody was leaving downtown, [the Busbys] ran in," says Silkes, crediting the deli with helping kickstart downtown's resurgence. "Letting it go seemed like a bad idea." 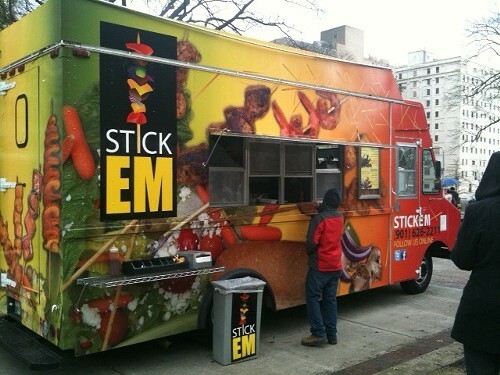 Silkes says loyal customers will recognize the menu — the tuna salad, the deviled eggs, etc. And, he says he will be adding new items. Under consideration are a Philly cheesesteak sandwich and peppers and onions with sausages. Silkes hopes to have Front Street Deli up and running in the next few weeks. I spotted the bottle of Cosair Quinoa Whiskey at the Twilight Sky Terrace, during the Flyer's Mixing It Up cocktail contest. If you're not familiar with quinoa, it's a grain popular among health-nuts and foodies. It's not something you see in whiskey. Apparently, Corsair, the Nashville-based artisan distiller, thought differently. According to Will Atkinson, Corsair's "distillery ambassador," "To our knowledge it is the only quinoa whiskey in production. We use malted barley, and both red and white quinoa from Ecuador to make the mash that we distill. We then age said whiskey in new charred American white oak barrels for maturity. "I tell people that if they know what quinoa tastes like, well then this whiskey tastes like quinoa. If not, it has a nutty earthy characteristic that is a little unusual for a whiskey. It has also won a silver medal in 2011 at the New York International Spirits Competition." 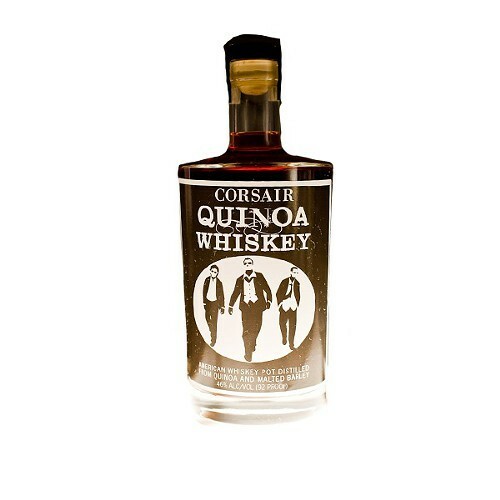 Corsair Quinoa Whiskey is available at Joe's Wine & Liquors. It's $48.99 for 750 ml. 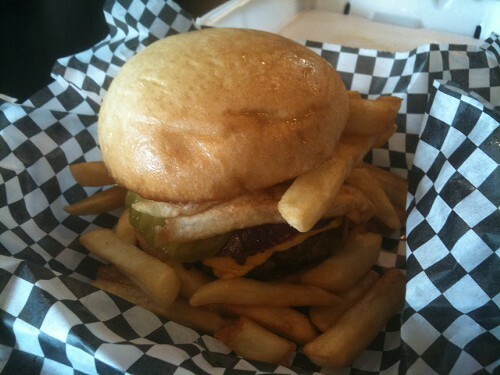 The Checkered Cow Burgers is a burger joint within D'bo's, a venture D'bos owner David Boyd started earlier this year. The menu is long with some 25 burgers, with beef, turkey, and veggie options and prices starting at $5.99. The menu starts with the Checkered Cow, a just-the-basics burger with a choice of toppings. Then things get very, very imaginative. The Firecracker includes a patty soaked in Tabasco and the Cowboy burger is topped with chilli. The Nacho burger is smothered in nacho cheese, jalapenos, and tortilla chips. And then there is the ultimate ... the Ultimate ($7.99). This is a burger topped garnished with French fries. That bears repeating: It is a burger topped with French fries. I got the Nature Boy ($5.99), a veggie burger that was so good, I thought about getting one the next day. One point worth mentioning is that everything is made-to-order so there's going to be a wait involved. More details to come regarding Checkered Cow in an upcoming Flyer. The first Lenny's Sub Shop was opened in Bartlett in 1998 by Len Moore, who sold the business to a group of investors in 2004. There are now roughly 150 Lenny's in 20 states. "We're constantly in research development, looking at ways to enhance our menu," says Brent Alvord, president of Lenny's Franchise System, LLC. One recent enhancement, the "Under 500" menu board — lime green and placed center, to catch the eye — highlights 9 sandwiches under 500 calories, starting at $3.50. All of the "Under 500" sandwiches are regular menu items, only without the cheese or olive oil. Among the sandwiches are the roast beef sub, Mile High turkey sub, and the tuna salad kaiser. Consumers are savvier about nutrition, and more are following stricter diets — gluten-free, vegan, vegetarian. Alvord says that Lenny's hasn't had much luck yet in finding good-tasting gluten-free items, and vegan is tough as well. 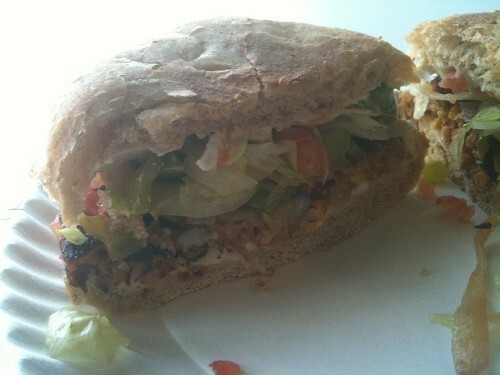 He notes, though, that the vegetarian black bean kaiser sandwich is one his favorite sandwiches at Lenny's. So, I went and tried it myself, and it's now going to be my go-to order at Lenny's. This is a nice, hefty sandwich — a good black bean patty, topped with a generous amount of veggies. And, yep, it's under 500 calories.